It is time for yet another toy review. Not because I do not like doing product reviews but I am weeping because this toy turned out to be a disappointment. I was in a dilemma whether or not to review on this toy and HOW to present it to give it some credit. The ZING That Could Not KONG-quer. Let me begin by saying, the KONG Zinger toy was the first toy I chose and was really excited about. I am a big fan of KONG Company toys. 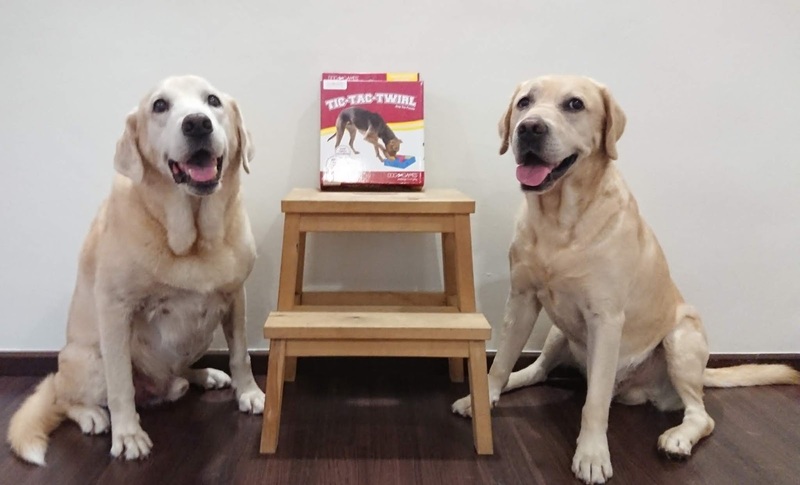 KONG toys have been around for a long time and has a wide variety of toys - most recognisably, their wide range of interactive toys which are commonly used in reward-based training. Through the years, I have owned quite a few of the KONG 'Air Dog' series of toys which are fundamentally a whole range of tennis-ball material toys in different designs... that SQUEAKS! 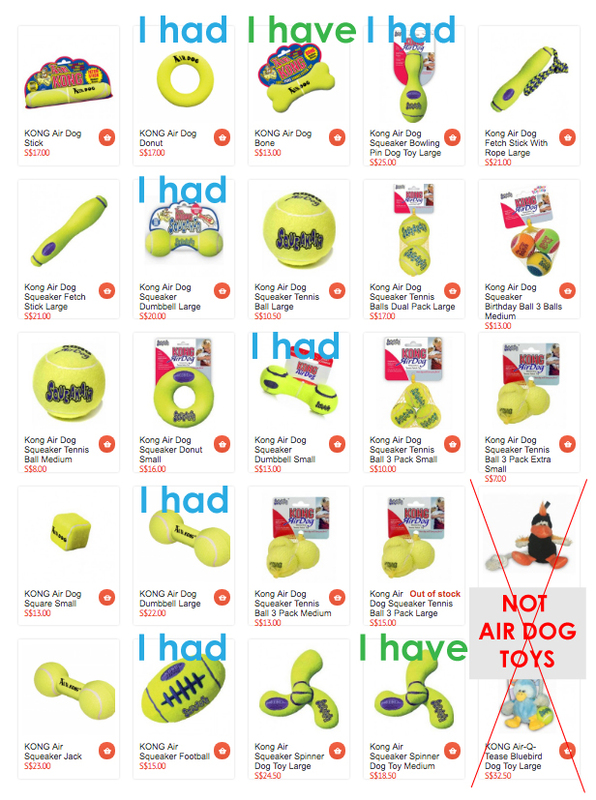 The Air Dog toys are NOT ideal for swimming. The water seeps in, the toy becomes very heavy and will sink after some time. The water stays inside the toys and takes eons to dry. As of now, Kohepets carry 321 KONG toys on their online store. So when Miss U and I first started discussing about Frodo and I being the 'official toy tester' of Kohepets, I immediately jumped at the opportunity of proposing reviewing just on KONG products. The main reason being that I am familiar with KONG toys so I know I can offer comprehensive reviews quite easily. As Kohepets is just an online pet store and not the distributor of KONG toys, Miss U declined the proposal and we finally settled on just being Toy Testers. I am glad we decided on that because it gave me the opportunity to get-to-know NERF Dog Toys which I most recently did a review on their Illumina-Action LED Light-Up Toys. So yeah, unlike NERF toys, I had much higher expectations in KONG toys as I have playing with their toys for many many years now I was confident that I could give raving reviews about how fabulous their toy quality is and how much I love it. As mentioned, Mr Zinger was the first toy I chose. I had a favourite toy for outdoor play. It was the ChuckIt! Classic Ball Launcher which I had for many years but it broke some time last year. Unfortunately, Kohepets does not carry ChuckIt! toys which left me a little disappointed. So as I surfed through KONG toys, I discovered the Zinger Dog Toy. I got excited. Very excited. This could be the replacement to our ChuckIt! toy. 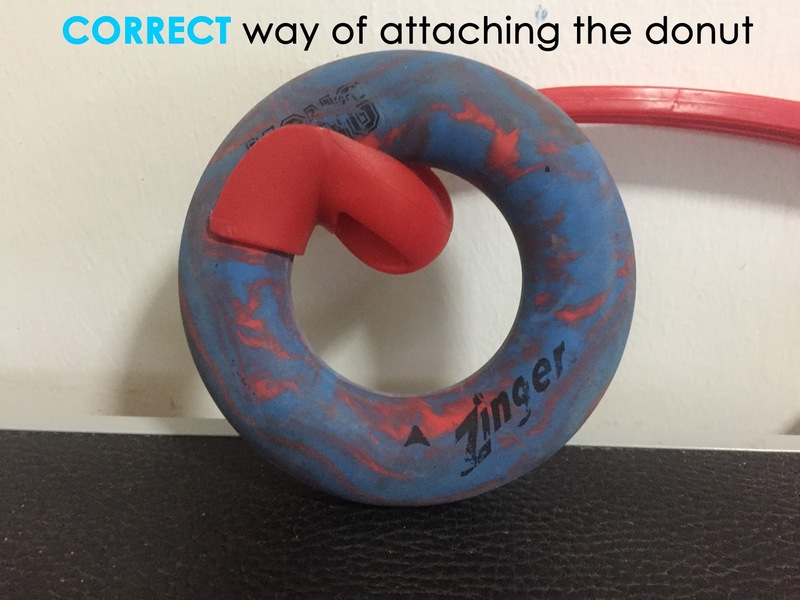 With a name like 'Zinger', I started imagining that MAYBE it could have those cool pull-string mechanism that 'zings' the toy off the rod and the donut goes flying with a zing. You know... like those flying top toy.... I do have quite a good imagination you know. Then I saw the price. SGD20.00... Hmmm.... I doubt there will be any funky mechanism but I kept optimistic and still hoping that the donut will bring on the 'zing'. It was o-kay. Maybe my imagination got the better of me but somehow, the toy just did not meet the expectations and it lacked the wow-factor. Or should I say the zing-factor? The rubber 'donut' felt really cheap to the touch. As you can see here, after two SHORT sessions of LAB-Test and the prints on the donut are fading. For the first LAB-Test, Uncle Nic and mummy decided to bring me out to the fields to play. The real intention was to try the NERF Ball Blaster but mummy packed in the Zinger Toy anyway to test if the opportunity arose. 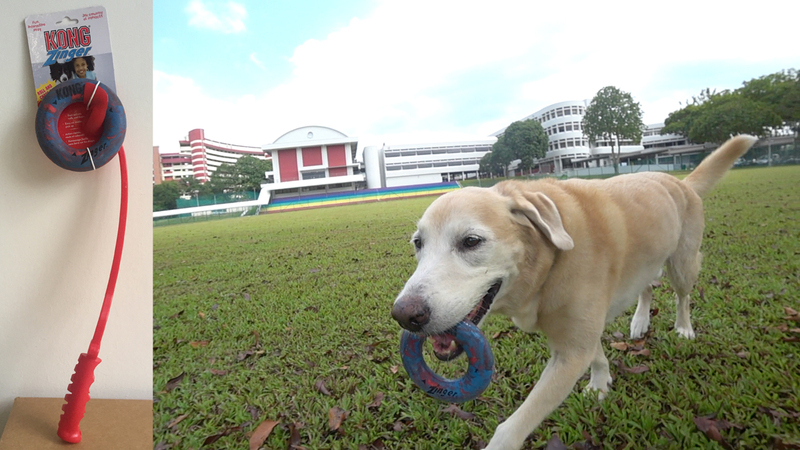 And since Uncle Nic was there, mummy could focus on testing the toys with me while he helps to take the video footages. Don't ask. Frodo had ditched us for grandpa. The FIRST THROW was a failure. Total failure. The donut flew wonky and I bolted off a short distance before I realised the toy was... WHERE WAS THE TOY? Uncle Nic and mummy realised that perhaps perhaps she had fixed the donut on wrongly and they stood there trying to figure it out. The donut had detached itself from the stick when mummy chucked the toy in the bag and she could not remember how the original attachment was. Mummy was not impressed at all. "What kind of stupid fling toy is this that two humans have to stand there to figure out how to attach it on? ", mummy grumbled. You can see at the start of the video that after figuring out the correct donut attachment, Uncle Nic was figuring out if there was a throwing technique to get the donut to fly. Then came the second LAB-Test. Because Frodo ditched us during the first test, so mummy decided to do a second test with Frodo to see if he likes the toy. In addition, instead of testing on a grass field, we tested on concrete ground instead. A few throws later and mummy started to heard this 'Plock' sound as the toy landed. That was it. The donut had become a split bagel. It was appalling as that was only the second LAB-Test and that rubber donut had effectively become a split bagel. Talk about bad quality! The donut had split after just two LAB-Test. Not impressed. At All. I quickly feedback to Miss U, who in turn promptly feedback to the (I believe) distributor. Then I was asked this question: "Did we chew on the toys?" As much as I have a monster mouth, I did not chew on the donut. My disbelief behind the question was - this is a dog toy. The toy was created for outdoor play. It is meant to be durable and surely dogs could bite down a little harder when retrieving and/or chew on it a little as they twirl it around their mouth to keep it in place. AND! 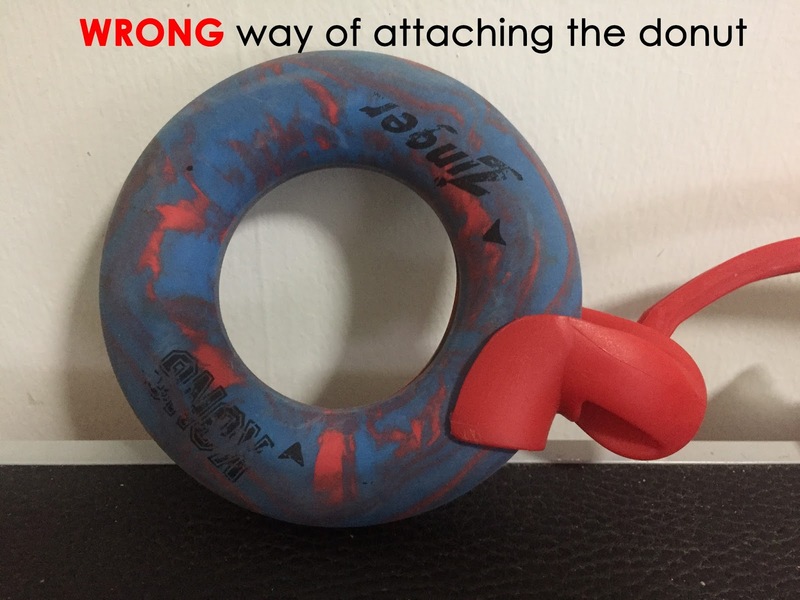 The donut is made of rubber which makes it highly attractive for dogs to otherwise regard it as a chew toy. I am sorry. But asking a dog about chewing on rubber toys is frankly quite silly and eyes rolling. IF we, the dogs, had chewed on the rubber donut and destroyed it, we would admit to destroying the toy and not question on the quality. Based on how the split bagel look, I would caution owners about watching your dog when they are playing. This rubber can easily be shredded into pieces and potentially ingested. We have been kindly offered a replacement unit though we have yet to receive it. Perhaps I got a faulty donut but since I have yet to receive my replacement to test, I can only base my review on the first set. Should the second set prove to be more durable and credible, I will update this post. At this point, the ONLY positive thing I have to say about this KONG Zinger Toy is... it does fly far and it actually is good for dogs like Frodo and I who do enjoy senseless fetching. There's something funny about us dogs - flying toys, donuts.... we're there! Just a shame about the quality. This Zinger Dog Toy could otherwise easily become our favourite senseless fetch toy. And once again, time for Frodo and me to rate this toy though you could probably guess by now it wouldn't be receiving favourable ratings. The donut does fly far and gives me a good workout retrieving it! Flying toy + donut = super fun! It flies, that round thing has a hole in the middle, chewy rubber... me likey! Nope! None whatsoever. I don't think it should be called "Zinger". Misleading. Apart from plush toys, this is possibly the most disappointing outdoor toy I've ever played with in its quality and durability. I was tempted to give zero-Flaps but because the stick quality was decent, I gave it that 1-Flap. Split bagel after two SHORT sessions is unforgivable. Mummy has kept the toy away from me already. Meh! 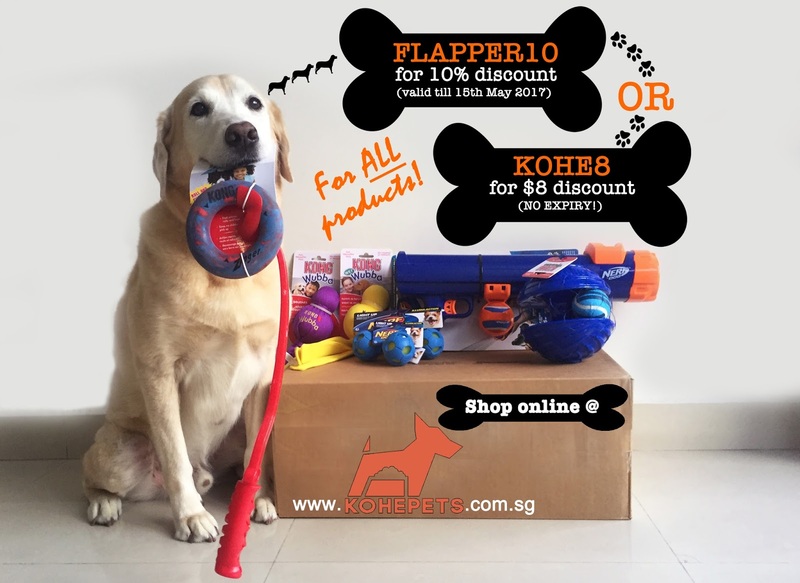 Don't forget the Flapper10 promo is still on with Kohepets!